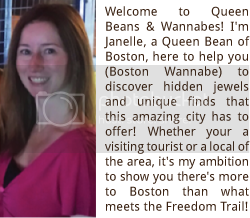 Queen Beans and Wannabes: Mobile Monday Boston's Summer Party...with a Twist! Mobile Monday Boston's Summer Party...with a Twist! Two Mondays ago, I attended Mobile Monday Boston’s Summer Party Event at the new District Hall in the Innovation District in South Boston. A little background of Mobile Monday: “Mobile Monday is the world’s largest mobile industry community with chapters in over 80 cities worldwide. Mobile Monday Boston started in 2006 as an informal meeting at a bar and since has grown into one of Boston’s biggest technology networking organizations.” I originally found out about this organization through work and have been to a few of these events around the city. However, unlike the other momobos events I've been to, this one was quite different- this time I was working with them being their ‘great and powerful Oz, behind the curtain’! …Okay, maybe not ‘great and powerful’, but I was their Twitter expert for the night. A few weeks prior, I read in momobos’ newsletter about an opportunity to be a part of their organization and that they needed assistance with the social media portion. I figured I’d give it a try and see what happens. I met Matt Gross, founder of Mobile Monday Boston over coffee one afternoon and he told me it would be great if I did their Twitter feed during events. I was ecstatic! I must admit, this whole social media marking/PR industry is quite interesting and must be a really great career to have, always going to the coolest parties, writing, Tweeting, taking photos, be part of ‘the scene’; someone might say, ‘like being a Queen Bean’…too bad I don’t work in that industry, (knew I should’ve taken a few of those classes in college, oops)! The night of the party was absolutely gorgeous and I was very excited and rather nervous… hopefully I wouldn’t say something stupid on Twitter and everyone see it, or what if people complained about the event, do I do damage control…maybe I just overthink things. The event was held at District Hall near my work, a place that technically wasn’t event open yet, yet they were giving us a preview of what it was going to be. District Hall- Located on Marina Park Drive, the heart of the Innovation District, District Hall 12,000sq/ft space that caters to the innovation community to network and exchange design ideas. Scheduled to open in the fall, District Hall will also include meeting hall space for larger conferences, ‘pods’- smaller spaces dedicated to classrooms and seminars that can also be used for technology labs and experimental retail & galleries. There will also be an open lounge for entrepreneurs to brainstorm and connect with others, as well as, a full restaurant & café counter. I got there right at the so I could have ‘first dibs’ on the featured sponsors and hear about what each company did, a great way to ask different questions and take pictures for momobos, but also great way to network to see if any of their services or products would work with the company I work for. There were four great companies that I got to speak with, each with different types of services in the mobile industry. Mobiquity- Located in Wellesley & Waltham, MA, Mobiquity develops Enterprise Class apps for businesses in different types of industries. Whether your company already has an idea of building an app but not sure where to go next, confused about how to build an app on different platforms, need a little more strategy on User-Experience Design so customers will continue to use the app, or searching for a better mobile strategy, Mobiquity can assist your company with any needs it may have in the app development/configuring field. Just ask their clients: Panera Bread, Weight Watchers, Crackle, FanShots and many more. SkyHook Wireless- SkyHook Wireless, located right in the Innovation District, is the brainchild of a software-only location system based on Wi-Fi positioning, GPS & cell tower triangulation. Using the millions of Wi-Fi access points throughout populated areas, SkyHook’s technology is the fastest, most accurate and most reliable location system on the market. SkyHook’s technology not only uses GPS for outdoor locations, they can also use indoor Wayfinding, as well. Athena Health- Originally beginning as a medical practice in California, called Athena Women’s Health and the Birthplace, the co-founds of Athena Health found themselves spending more time and money organizing and retaining paperwork and knew it was time to find a solution. When there were no solutions on the market, they created a cloud based service for retaining & organizing Medical Health Records securely. Today, they have over 43,000 medical providers on their network that can organize and review their entire electronic medical records, effectively bill services correctly that eases administrative burdens and boost collections, and with athenaCommunicator, physicians and patients are able to have an active role in managing their own healthcare and stay connected via a web portal. Apperian- An ‘all-in-the-box’ app solutions company, Apperian provides organizations with securing, managing and tracking how apps are used and stored. They offer an ‘enterprise app store’ for distributing 3rd party and custom made app which can be pushed to any devices that are attached to the store. Backend security via encrypted data will be able to disable apps, enable VPN access and integrate an app with an enterprise Identity provider for single sign-on (SSO). Analytics can also be recorded to a dashboard in the backend admin console to provide better understanding of app download and usage behavior. people. I know it’s sometimes better to network alone, but either a wingman and or alcohol is what I need to build some confidence and walk up to a group of people to start talking. Luckily for me, no sooner than I thought of this, then a woman by the name of Jae-Lyn came up to me and stared a networking conversation with me (phew!). She told me she wasn't big on networking by herself either, so we decided to join forces and work our way around the event and network together. Thanks to her… and a few glasses of wine…I was able to gain some confidence and walk up to people and chat with them. I even made a few connections throughout the night to hopefully help out find solutions to a few problems at my work- (indoor Wayfinding if anyone knows a company!!). By the end of the night, I had a bunch of business cards from networking, met some great people from great companies around the Innovation District area, but best of all, Mobile Monday Boston asked me to continue working with them… woo-hoo! 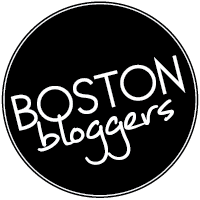 I’m very excited to be a part of the great organization and I can’t wait until the next event in October…until then, don’t forget to follow @momobos! Great place. Crowd was good and seating was very comfortable. Also, very good view from where I sat. This is such a cool venue and the atmosphere was equally amazing.